I love my job! Everyday at work I meet and interact with different interesting people including celebrities if lucky enough. Just last week I got a chance to meet for the first time the “Fighter of the Decade” our very own, a Filipino, Hon. Emmanuel “Manny” Pacquiao. Almost everyone knows Hon. Manny especially those whose in the boxing field. He is widely considered to be one of the greatest boxers of all time as He is the first and only eight-division world champion. Hon. 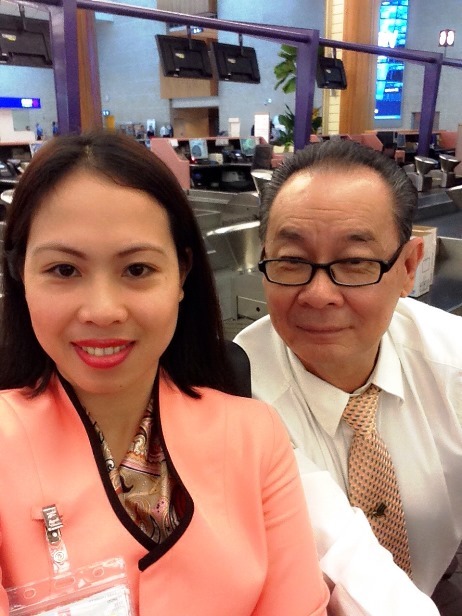 Manny & His group including His wife Jinky were in transit in Singapore. They just arrived from Melbourne and connecting to Manila in few hours time. Manny is really humble and kind man. When me and my indian colleague (Manny’s avid fan) asked Him if we could take a picture with Him, right away with no hesitation He stood up and pose with us with a smile even though He was still a bit tired from His previous flight. Hon. Manny Paquiao is not only focused on sports, He also joined politics which is in fact He is currently a Senator in the Philippines. And He was elected as a Congressman on His previous term in Philippine government. Unlike other politicians, Sen. Manny is running an office in the government not because of money (He has a lot of it already) but because He wants to serve His countrymen especially the poor. I can really see His sincerity and willingness to serve and help the unfortunate. His heart is with the poor. He can always feel them coz He was from there. It’s where He came from. It is so amazing How God works in His life. From scratch to a very rich man. Whatever His status in life now, His feet is still on the ground. A very down to earth and generous man. One thing I admired Him is His strong faith in God and He is not ashamed to share the gospel to others. He leadeth His family to church & live a christian life. He always give back the glory and honor to God for all the success and things He got. And He shares it to others. No wonder God has bless Him so much as He is a good steward of God riches. His life is so inspiring. God bless u more, Sen. Manny!